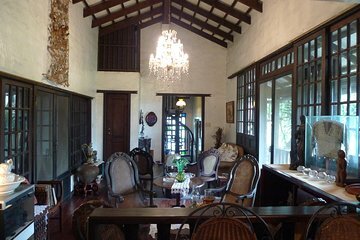 Dine on traditional Filipino food with a local host in an historic home during this private experience in Manila. Sit down with your host, a local restaurateur, to eat heritage recipes sourced from the 16th to 19th centuries and chat about Filipino culture and food. You’ll enjoy the unique surroundings of the historic home, including a wealth of art and artifacts, and the undivided attention of your host. Meet your host at her home in Quezon City, Manila.